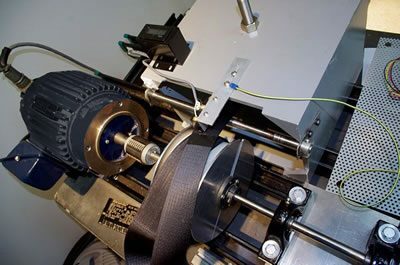 Wolf takes advantage of test equipment fabricated and acquired during development of other projects, including many types of data instrumentation and data capture equipment, a temperature chamber and various electro-mechanical equipment items. Wolf owns many software platforms for specialized computer simulation including biomechanical simulations and computer-aided design and drafting. The Wolf team applies knowledge from a variety of engineering disciplines including failure analysis and experience in forensic investigations across many industries to provide comprehensive test procedures. We stay abreast of the latest standards and regulations and are adept at their application across numerous trades. Wolf designs automated and instrumented equipment for testing our own and other companies’ products to system specification. Using microprocessors, microcontrollers or other programmable logic controllers, we can automate most mechanical and electromechanical systems. We develop and document the embedded software and graphical user interfaces as well. Wolf uses micro-electromechanical systems (MEMS) to instrument machines and processes for data capture, logging and analysis. Wolf has a 40+ year history of analyzing failures in most disciplines of engineering, manufacturing and logistics. Our failure analysis processes and results pass the test in the courtroom and for our customers. Wolf’s failure and systems analysis has saved our customers time, material and money in their operations. We cover most areas of engineering and science: mechanical, electrical and electronics, civil, manufacturing, construction and optical.